Many DSLR’s have a Quiet Mode. One way this is done is by separating the sound of the shutter from the slap of the mirror. When you press the shutter button the mirror flips up and the shutter is fired, exposing the image. But then the mirror doesn’t flip down until you remove your finger from the shutter button. This works surprisingly well to make your camera not sound like a camera and it’s far less distracting in quiet situations–I’ve even photographed live ballet performances this way without ruining the show. Mirrorless cameras, on the other hand, can be so much quieter than DSLR’s. 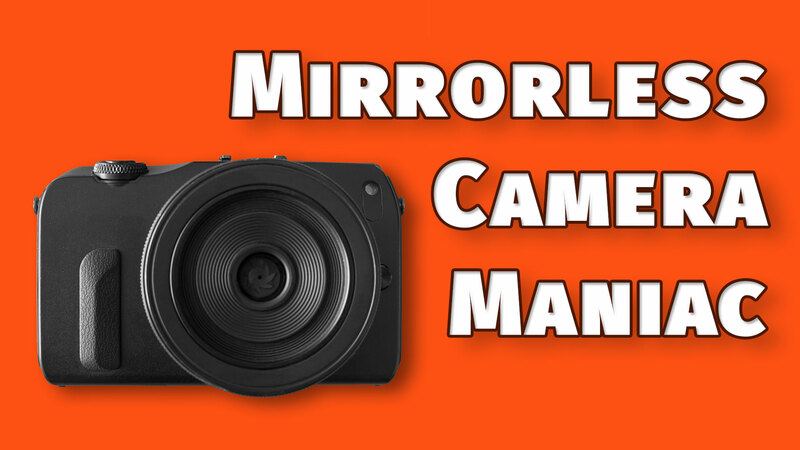 There’s no mirror to slap, and even the shutter sound can be eliminated. For most mirrorless cameras in silent mode, the only sound will be the closing of the aperture to shoot. The shutter can be completely disabled and the camera will be virtually silent. LED and fluorescent lights are constantly cycling on and off which can be recorded visibly when you use a fast shutter speed. However, you may notice that the scanning effect is emphasized in Silent Shutter mode. You’ll see lines or bands of dark and strange colors across your photo. The easiest solution for this is to use a slower shutter speed. Under fluorescent lights, slowing to 1/60th of a second is usually sufficient. But if you’re under LED’s that have a scanning issue, you may have to go as slow as 1/20th of a second to remove the effect. Higher quality LED’s don’t have this issue, but if you’re planning to use LED light bulbs in your studio you should make sure that they have a return policy. Any lights you buy from a place like B&H should be just fine even at higher speeds. Interestingly, older versions of the Tesla Model S had LED headlights that had this issue. It’s since been fixed with a firmware change. I shot an event in a very fancy hotel, however, that had been an early adopting of LED light bulbs, but the scanning was so visible that I had to shoot at just 1/20s which made it very hard to record presenters who had lots of mannerisms. Another problem with the Silent Mode is that it can have an issue called rolling shutter. The issue arises because the sensor doesn’t record the entire frame all at once. It records line by line across the image all the way down the sensor. You could figure out how many lines of pixels your sensor has and be amazed anew at the technology in your hands. The trouble is that when you film something very fast, it has already moved to a different part of the frame by the time the sensor has read all the way down. This can make fast moving objects appear distorted. It’s a problem for Silent Shutter, but it has been a problem in photography ever since the shutter was invented–more than 100 years ago. One solution might be to try to time your shot with the peak of movement–like the very top of a golfer’s swing– so there is less motion to give you trouble. Silent Shutter mode is such a powerful tool, and I’d say my camera is set to Electronic Shutter (Lumix name) 80% of the time. It makes it possible to shoot in otherwise impossible situations. Just pay attention to the kind of lighting around you and know that slowing down the shutter will fix the issue, and pay attention to how rolling shutter might affect your movement pictures. What kind of success have you had using Silent Shutter in otherwise impossible shooting situations?